Birthdays always bring a reason to celebrate but milestone birthdays call for an even bigger celebration. And for Joey Feek, her 40th birthday was more than just a celebration this year. 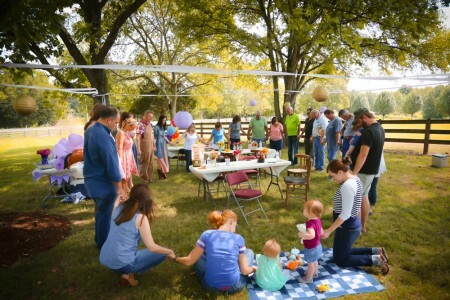 The singer, who is currently battling cervical cancer, traveled back to her Tennessee home during a break from her treatments to celebrate her special day on a shady spot in the front yard with family and friends…and received an unexpected birthday surprise she has been waiting for for 24 years. 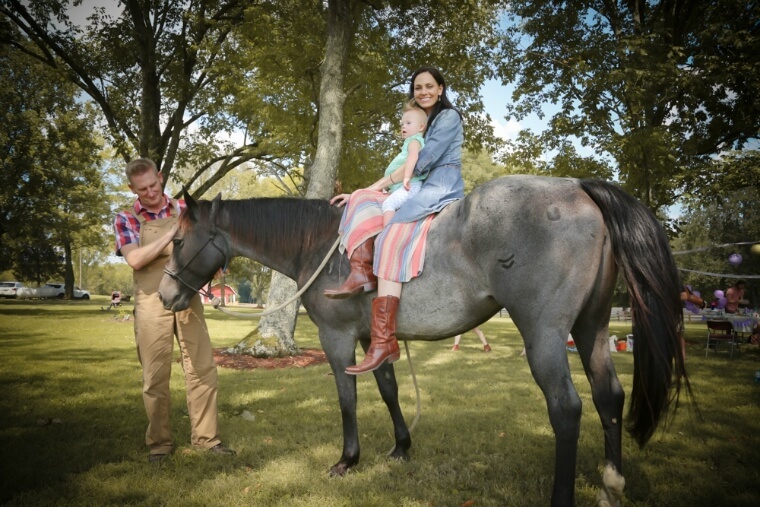 Rory Feek shared the news of his wife’s birthday surprise on his blog September 10th along with pictures from Joey’s birthday celebration. When Joey was in her early teens growing up back in Indiana, she had a horse named Velvet that she loved so much,” Rory writes. “Joey’s talked about getting another horse for years and has dreamed of owning one again, but she is so incredibly responsible that it just never made any sense for her or us to have one… our life was too busy, and we didn’t have room, and hay is expensive, and lots of other really good reasons. Immediately following the party, the couple returned to Georgia where Joey will continue her aggressive chemotherapy and radiation treatments. The best time to love someone and make their dreams come true is today!